Admittedly, the body of this post may or may not be heavily influenced by the fact that I just completed my first marathon, but I do believe that the comparison is a sound one. No, running 26.2 miles hasn’t boiled my brains. While training for this event I started thinking about these two as parallels and after finishing my run, I’m even more convinced. I didn’t just wake up Saturday morning and decide that I wanted to run a marathon that day. Months ago, I began a scheduled series of runs to prepare me for the event. My legs weren’t ready for a marathon back in April when I decided I wanted to this. Three and a half months of preparation went into making sure I could complete my long distance run. Successful online instructors begin planning for their online courses long before uploading the syllabus or posting their first announcement. They start aligning curriculum to objectives before the first day of class. They decide on a course plan, technologies and strategies for assessment, communication and collaboration if they are redesigning their own course, or they work with a colleague or instructional designer if they are teaching online for the first time or using canned content. Running 26.2 miles takes a lot out of you. 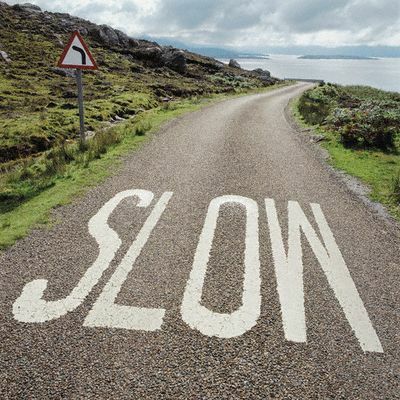 Beginning slowly helps you store up energy for when you need and it starts warming your body up for the long road ahead. Usually you are in a crowd of people and confusion erupts if you start tripping over your own feet or someone else’s when trying to get out with a fast start. Finally you just want to slowly adjust your body to the rigor of a marathon. A measured start to an online course is also important for instructors. Whether you are teaching for 4 weeks or 4 months a slow start benefits you and your students. First, you cut down on the confusion and anxiety that can be experienced at the outset by helping your student to get their feet wet with some introductory activities. Take the time let the students get to know each other and the course environment. It may take a day or two or week depending on the length of the term, but it pays off in the end. So, on August 3rd I didn’t set out to have problems when I began my run. It was 6 in the morning; temperature in the low 80s and a light breeze was blowing. All in all, it looked like a good day for a run. However, before I finished my race I ran into some issues. A little over halfway through the race my feet started to develop blisters. Let me tell you, there is nothing more fun than running on blisters. I had done enough research to know that this could happen and just put up with the pain knowing that I would finish and be able to get off of my feet. However, a very unexpected obstacle was thrown in my path about ¾ of the way through the event. 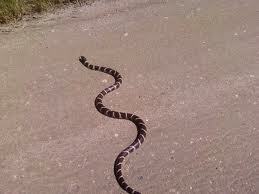 I was on my way back during my 3rd circuit and saw a 6-foot long King snake slither across the trail. I immediately stopped and warned the folks behind me that we had a cold-blooded obstacle in our path. We didn’t have an immediate way to deal with the snake, so we just waited patiently for it to cross the trail and went on our way. There is an old adage when it comes to working with technology. It goes: “It is not a matter of IF technology will fail, it is a matter of WHEN technology will fail.” Online courses by their very nature are technology-rich environments. Students (and you) use multiple types of technology to view, communicate and interact with course materials and each other. Just like in a race obstacles can get in the way of you and your students participating in your online course. You will experience issues that you are familiar with. These issues revolve around things like power outages, Internet blips, browser issues and a few others. They have happened before and you generally know how to deal with them. Sometimes you will come across the unaccounted for “snake in your path” when teaching an online course. When you encounter these issues, the most important thing to do is to keep the lines of communication open. Let your students know that you know there is a problem. Reassure them that it will pass and that things will continue once it is cleared up. Reaching out to your students lowers anxiety and lets them know that you understand what they are going through. When doing my last mile, I reminded myself of all the hard work I put into my training. The hours of time I spent running, the different distances, the regularly scheduled workouts I committed to each week and the mental endurance to stay focused all came to a head in that mile as I kicked through to the finish. Wrapping up an online course should pull everything together for your students. They should be able to connect the dots of their learning and see the big picture of what they got out of their online course. You and they should feel a sense of accomplishment in finishing the course. 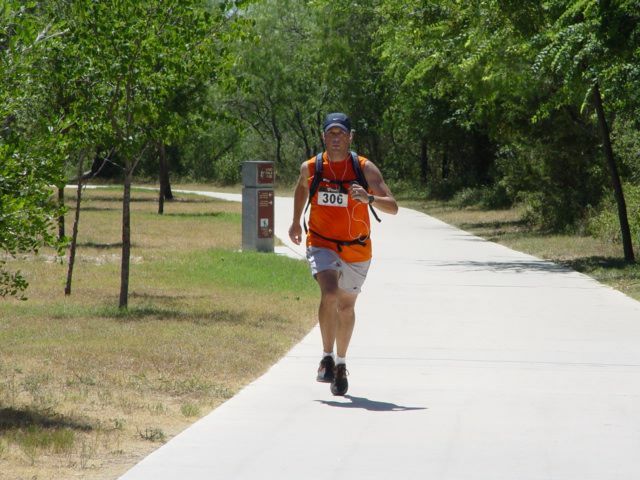 Participating in a marathon and teaching an online course are both “long distance” activities. They both require a commitment of time, effort and energy from the participant. 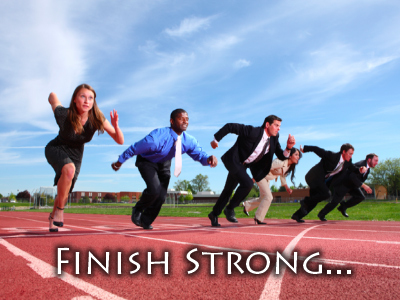 If you prepare for your course before starting it, allow for an orientation period or “slow start”, be ready for obstacles and communicate through them and finish strong by connecting the dots for your students you will come out ahead with a “finished race” and a “good time”. I agree… I’m just starting to teach online Esl classes… Well done!!! !